Huh. 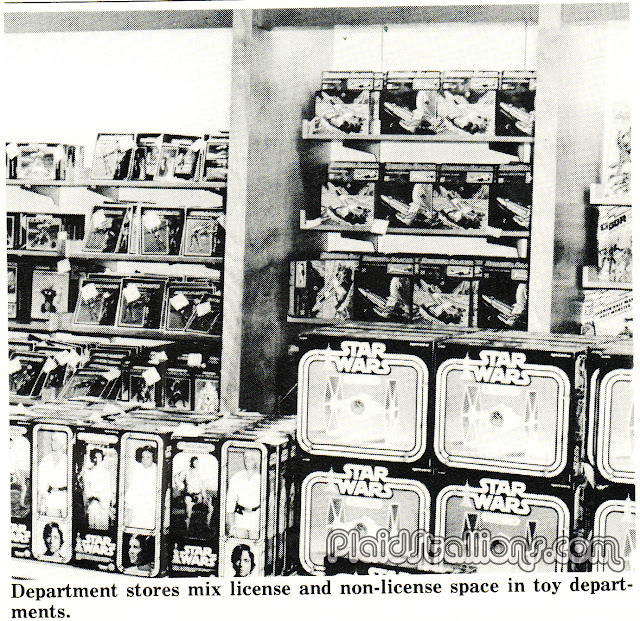 I wonder if that was why some of the Star Wars figures were harder to find around that time. I remember it taking a while to finally find (short) Snaggletooth. Demand played a major part as well, Anon #1. No matter where you lived, it was not unheard of (even back then) for Granny and Grampy to butter up the staff at the local department or toy stores and be there when the stock went on the shelves. True story: Back around 1979 in the more rural (back then) states north of Massachusetts, Jawas were impossible to find. After a summer of making extra detours here n' there during our regular weekend shopping, my dad realized this area was all played out. Since he was an awesome dad, he started skipping lunch several times during the week and checking the department/ toy stores within easy driving distance from his job in Mass. That was how he discovered why Jawas were so scarce. No matter where he went, either the shelves were all picked over or the Star Wars aisle looked like a coffee 'n dougnuts social down at the senior center. The Over 65 Crowd would be all over the action figures rack like a flock of vultures on the fresh carcass of a baby giraffe. Finally it came down to just persistence, good karma, and good luck. One lunch-break, he walked in on a fresh-faced clerk who didn't have the "tag it and rack it" motion down just yet. My dad, being a kindly man, helped her out. Apparently my he told her something like, "This is just like doing the dishes, you wash, I'll dry." He picked up a bunch of the newly priced blister packs she'd dropped and without saying another word, started briskly racking them on the wire posts. 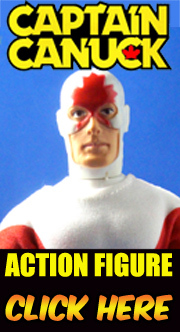 The clerk was thrilled, said thanks and started smacking the label gun on each figure. It was a win-win for them both. She finished the pricing the crate in record time and my dad found a Jawa figure. There were exactly two Jawas in the entire crate. My dad didn't walk off leaving the girl there once he found one. He finished racking the whole crate with her. Then he breezed in around quarter of two and caught static from his department head. Since my dad was the lead engineer on the project (and a week ahead of schedule), the lecture was "setting a bad example for the rest of the department". Three years later, I saw it happen first-hand when Empire Strikes Back came out. Like most kids, I wanted Yoda. By the second movie Kenner figured out kids wanted more and Yoda was loaded... pet snake, cloak, cane, utility belt. One day I was home sick from school, sick enough for a visit to the pediatrician. We headed over to the pharmacy to get a prescription filled out and, naturally, checked out the toy section there. The shelves had literally just been re-stocked. Most of the racks were Hoth Han, Hoth Luke, Hoth Leia, Hoth Trooper, Hoth Rebel and then the randoms in one and twos, Bespin Guards, AT-AT Driver, and... lucky me, two Yodas. My dad spotted them before I did and promptly picked up both. Since each Yoda had hand-painted (or applied) eyes with different snakes, there was a solid difference to them. It was either Wise-Looking Yoda with a poop-brown snake or Slightly Demented-Looking Yoda with a bright-orange snake. While I was making up my mind, a Star Wars Grampy appeared, riffled the rack, looked over at me and stopped short. Like I said these people knew exactly when the shelves got re-stocked. Then he started circling us like a shark. Growing up in NYC taught my dad how ruthless shoppers can get, so he stepped in front of the guy, just in case the circling turned into a quick grab out of a little boy's hands. That turned into a stare-down between them and Grampy finally had to settle for dancing around in place like a first-grader who needed to pee. I finally chose Slightly Demented-Looking Yoda and, sure enough, the instant Wise-Looking Yoda left my fingertips, Grampy dived in there like a catcher going for a ground ball and ripped it off the rack. Long, and hopefully not-too-boring, story short... chances are the toy slump probably wasn't the only reason Short Snaggletooth was tough to get.